2018/05/07 – Whether in Mali, Niger or Nigeria, the nomadic Fulani herders often find themselves in conflict with farmers over scarce resources. But there is more to it than that: Often it becomes a struggle for political supremacy. 2018/05/02- Jihadists killed 17 civilians in an attack of “inexplicable horror” in northern Mali near the border with Niger, local militia groups said on Wednesday. 2018/01/23 – The Estonian Defence Forces (EDF) are looking to hire a French translator whose task will be to help Estonian military personnel communicate with French soldiers and local residents in the region of Mali, Burkina Faso, and Niger. The recruitment center of the EDF is looking for a French translator with a view to working with the Estonian personnel potentially to participate in French-led Operation Barkhane in the African region of Mali, Burkina Faso, and Niger. The length of the rotation is four months plus training. In the job ad the EDF state that they may send several rotations to participate in the African mission. Candidates must have French skills at least at the B2 level meet the standard requirements to be accepted into active service. Previous active service or completed conscript service as well as experience working and living in a French-speaking environment is a definite plus. Estonia will likely participate in Operation Barkhane, a counterinsurgency mission in Africa led by the French. In exchange, the French will deploy a unit of their own military to Estonia as part of the British-led NATO battle group stationed in Tapa. Defence Minister Jüri Luik is meeting French defense minister Florence Parly on Tuesday. The meeting will focus on strengthening defense cooperation, topics to be discussed also include possibilities to intensify cooperation regarding military operations. French and Estonian military personnel previously worked together in the Central African Republic and Mali. The meeting will also discuss Estonia’s joining of Operation Barkhane. The counterinsurgency mission in the Sahel region has been ongoing since 2014. 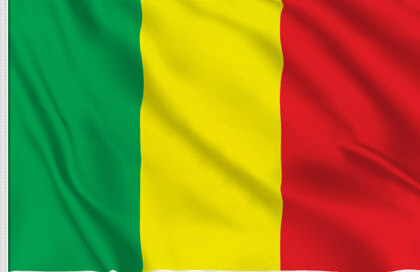 The headquarters of the operation are located in N’Djamena, the capital of Chad. Approximately 3,000 French troops are deployed there. The United Kingdom announced last week that it is also planning to join. 2018/01/19 – The Prime Minister is expected to make the announcement as part of the UK-France Summit at The Royal Military Academy Sandhurst, where she will discuss the UK’s strong and wide-ranging bilateral relationship with President Macron. The helicopters, which will provide logistic support to French troops, are part of a wider effort to increase stability in the Sahel region of Africa in order to tackle Islamist terrorism. 18/01/18 – The UK is to deploy three Chinook helicopters to Mali to bolster French-led military forces combating jihadist groups in west Africa. The move will be announced at a summit between France and the UK which will see the two countries agreeing moves to counter terrorism and boost defence co-operation.